"Is not the fanaticism of your irreligion more absurd and dangerous than the fanaticism of superstition? Begin by tolerating the faith of your fathers. You talk of nothing but tolerance, and never was a sect more intolerant." The Religious Freedom Restoration Act passed recently in Indiana (and previous in 19 other states) was the center of considerable controversy and I've posted a lot on it recently. This is a subject dear to my heart because of the arc of current popular culture and long history, so I have many thoughts on the subject. It is the pattern of culture to have a single dominant cultural religion which has no room for or patience with competition. At present that's secular humanist relativism which is fighting to control and diminish Christianity and to a lesser extent Judaism. And sometimes - often, even in history - this trend goes from dominance to outright persecution and cruelty. So I'm a bit defensive about how Christians are treated in the United States, as are many on the right. However, the RFRA isn't just about Christianity. Originally, years ago, the Supreme Court under Justice Brennan decided that the government was not able to compel people to violate their consciences or end religious practices simply because it didn't like them. Religious freedom … encompasses not only the right to believe (or not to believe), but also the right to express and to manifest religious beliefs. These rights are fundamental and should not be subject to political process and majority votes. And they were right: religious freedoms are not subject to a popularity contest, properly, in the United States. Just because something is unpopular does not make it wrong. But here's the catch: it was in the context of certain Southwestern native American tribes using peyote in religious ceremonies. The US Federal Government had a law calling this illegal, and the tribes argued for religious freedom. They won the supreme court case. Later, the Supreme Court changed this ruling slightly, and said that groups could not simply ignore federal law because they claimed religious liberty. Eugene Volokh wrote more about this recently in the Washington Post, if you want more of the history and how things shifted. But still the left was on the side of religious liberty. It was only very recently that suddenly these laws became evil because it was a useful political lever to stir up outrage and fear in voters and because its useful to silence critics and control the competing religion. Judge Eliana Marengo was hearing the case of one Rania El-Allou, who was trying to get her car back after it was impounded when her son was arrested for driving illegally without a license. “There are no religious symbols in this room, not on the walls and not on the persons,” Judge Marengo said, while asking El-Allou to remove her headscarf. However, according to Conservative Post, El-Allou refused to remove her hijab, citing her Islamic religion. “The same rules need to be applied to everyone. I will therefore not hear you if you are wearing a scarf on your head, just as I would not allow a person to appear before me wearing a hat or sunglasses on his or her head, or any other garment not suitable for a court proceeding,” judge Marengo added. And the "Tea Party" group that this story was posted on was supportive of the judge. The comments after were even more supportive, because she was a Muslim, I guess. But this is wrong. Religious liberties do not only apply to Christians. If the 1st amendment protects religious liberty, it does so for every religion, even the ones we don't like. This is what Hillary Clinton was getting at - in error, as an attack - when she queried if those in support of vouchers for schooling would be fine if they were used for a Satanist school to raise kids. My response was "too bad for that kid, but that's what freedom means." Just because I don't like or disagree with something doesn't mean it loses its freedom. That's what tolerance and religious pluralism means. You cannot pick and choose what religious group gets its civil rights, they all do. Yes there are limits; the courts and federal government have over the years had no problem finding that very thin line with caution. You can't suddenly invent a religion that robs banks and argue religious liberty. "clear and compelling governmental interests 'of the highest order'" is how they usually define the criteria: it has to be something very significant and important, but the standard exists. Generally its around the idea of other people's free expression of their rights being infringed upon. In the case of this Muslim woman, wearing the hijab is part of her religious faith. It would violate her conscience and her religious liberty to compel her to take it off (and humiliate her in public, no less). 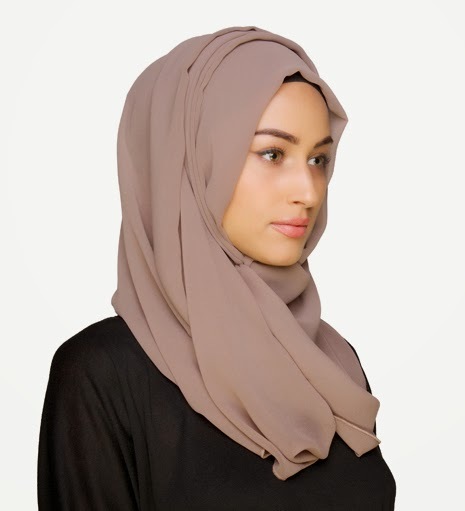 Wearing the scarf is not disrespectful to the court or the judge, it is not disruptive, and it is no different than wearing a cross pin or pendant. But this judge acted as if none of those would be allowed. It was shameful and wrong, and a violation of the 1st amendment, to tell this woman to remove her scarf. This judge should lose his job for this, he ought to know better. And just because she's a Muslim doesn't somehow make it okay to violate someone's religious liberty. Freedom means living with things we don't like or find uncomfortable. This is true for everyone.